The appointment is set in the wounded city that during this difficult summer received all the love and support of the country. Genoa will host the 2018 edition of The European Day of Jewish Culture, that in Italy is celebrated on October 14. 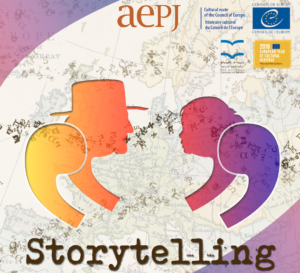 The theme chose, “Storytelling” is an age-old Jewish tradition consisting in the dissemination of stories to relive the past and create new ways of expression, and it is also the red thread that runs trough the agenda of appointments that are to be held in 90 locations from Trentino to Sicily, including Genoa, the city of the master of imagination Emanuele Luzzati, whose drawings inspired millions of Italians. 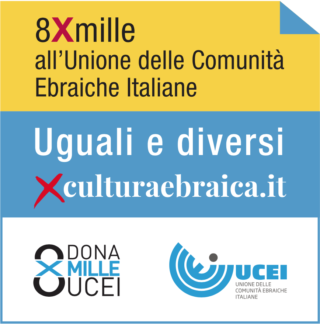 It’s a sign of hope and commitment that looks forward into the future, and that is shared by UCEI and by the president of the Jewish Community of Genoa, Ariel Dello Strologo. “In the Torah – tells the President of UCEI Noemi Di Segni – every word has its place, its value, its meaning, its exact weight. The group of words in the Torah creates a text where nothing is left to chance. It has been passed down from generation to generation, unchanged despite the millennia but alive thanks to its study and teaching. The holidays and observances of the Jewish calendar are perceived as a moment of narration in order to pass on to the future generations the memories of the past, of the ancient or most recent history, creating memory, culture, and a bond with the previous generations. The director of Area Formazione e Cultura dell’Unione (Education Area and Culture of the Union), rabbi Roberto Della Rocca says “Judaism has a unique feature, it evokes many different definitions, especially from people that don’t know much about it, but it can’t really be defined. If it were possible not to define Judaism but to describe some of its main features, from Abraham to the humble Singer, I would underline the Jewish inclination of asking questions and telling stories”. The rabbi explains that in Jewish tradition the stories to tell and the way of telling them are countless. “Rabbis always tell a story coming from the strange and yet original literature which is the Talmud, ‘Aggadah’. The Talmud is not exactly a literature but an oral Tradition that comes from the need and the will to extrapolate new and changing lessons from the permanent and polyvalent character of the written word. Its purpose is keeping alive the spirit of this centuries-old text that is linked to contingent issues and trying to prevent the development of future issues”. See you October 14 for a Day of reunion, confrontation, discussion but most of all hope. *Translated by Beatrice Bandini, student at the Advanced School for Interpreters and Translators of Trieste University, intern at the newspaper office of the Union of the Italian Jewish Communities.